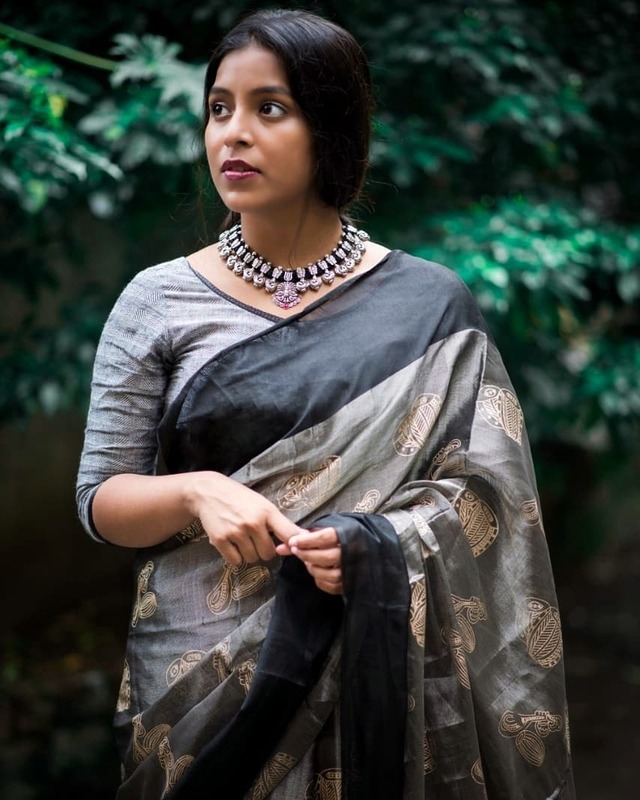 The Art of Wearing Humble Plain Sarees ! 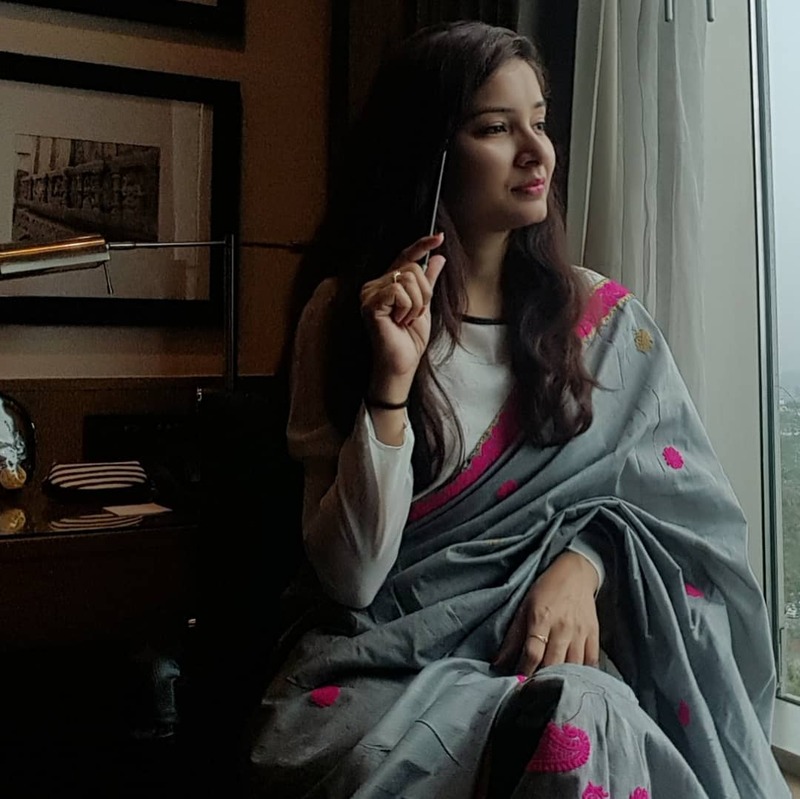 Grey is a color that speaks to style and class at the same time and looks truly outstanding on ladies of all ages. 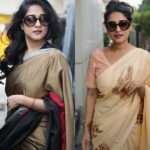 In fact, sarees in shades of grey have picked up huge popularity lately. 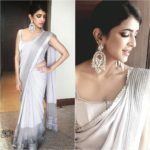 Designer grey color sarees look especially classy and beautiful. 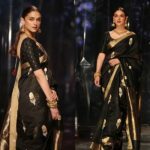 Add to them to your saree collection if you love minimalist looks and these sarees will render a superb appeal. 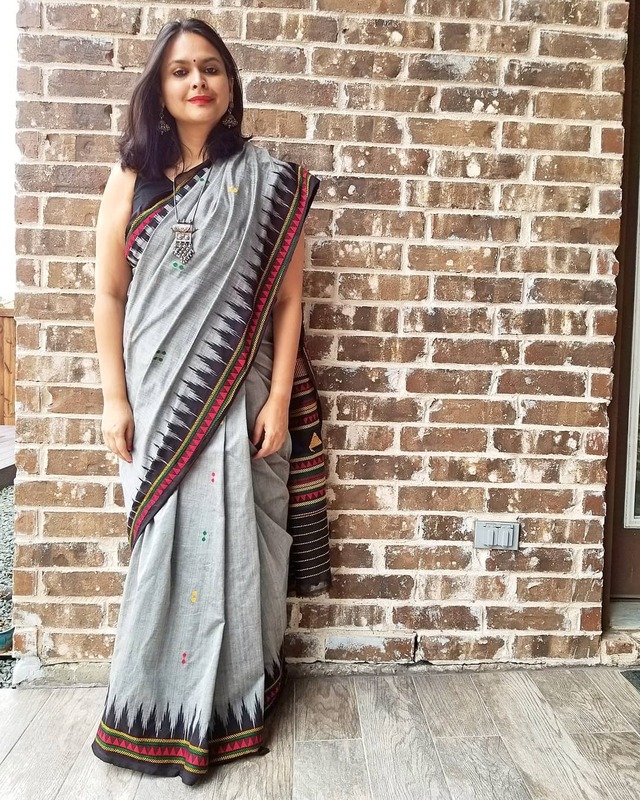 This ethnic attire is even a perfect pick for special functions and events. 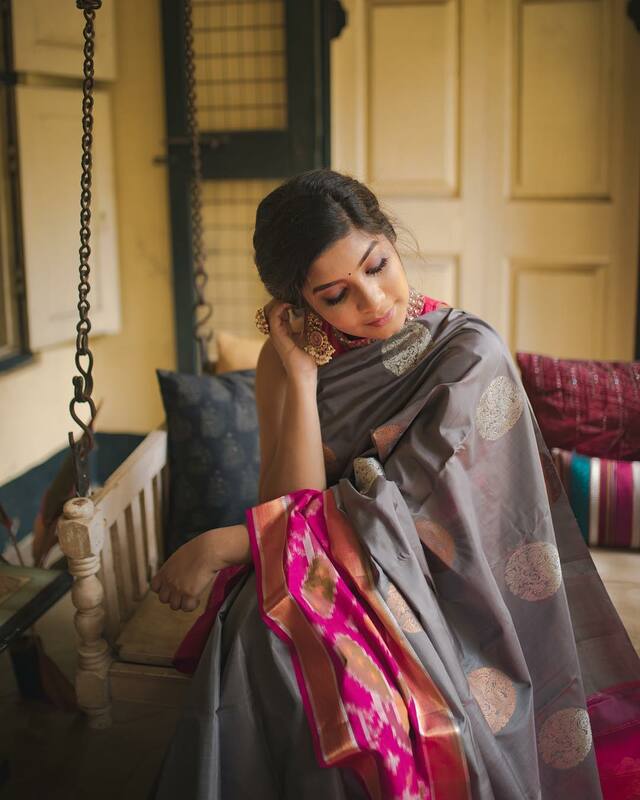 Grey color sarees radiate sophistication, perfection and elegance. 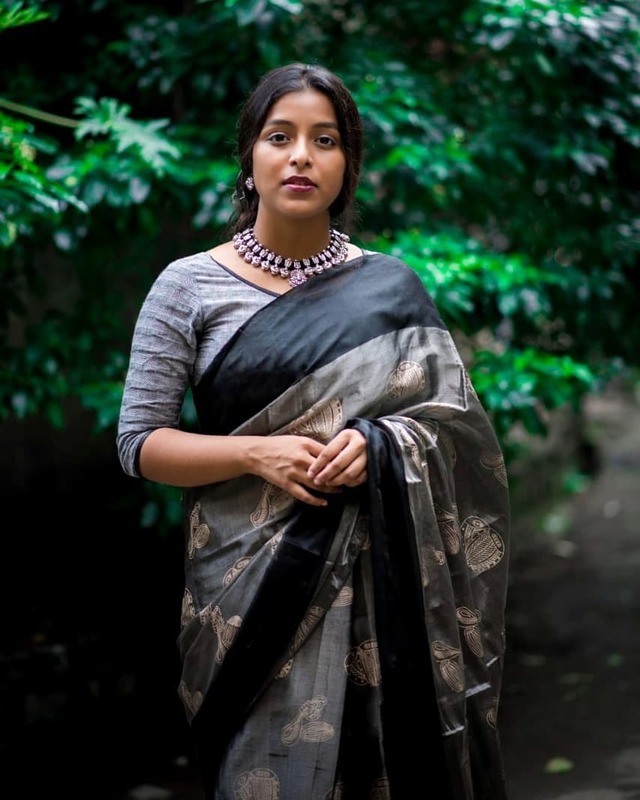 A lady donning a grey color saree is certain to attract admiration from people around. 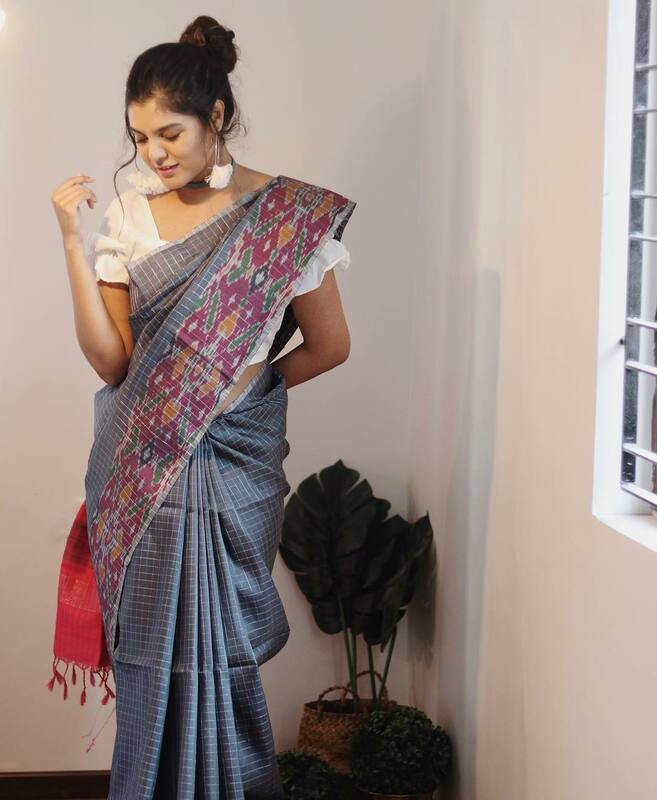 A grey color cotton saree is one of the best attires to wear during sweltering Indian summers. 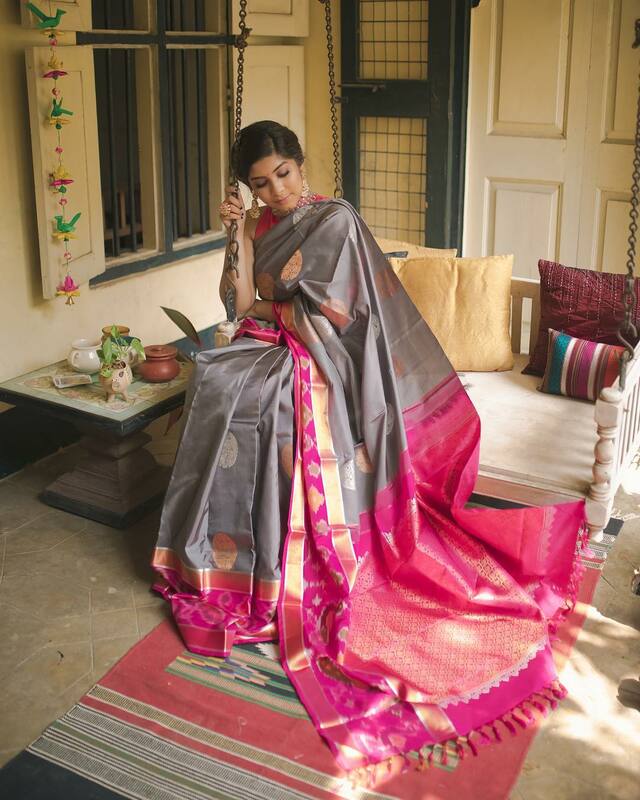 For special functions, you can consider embroidered grey color sarees to get that glam look. 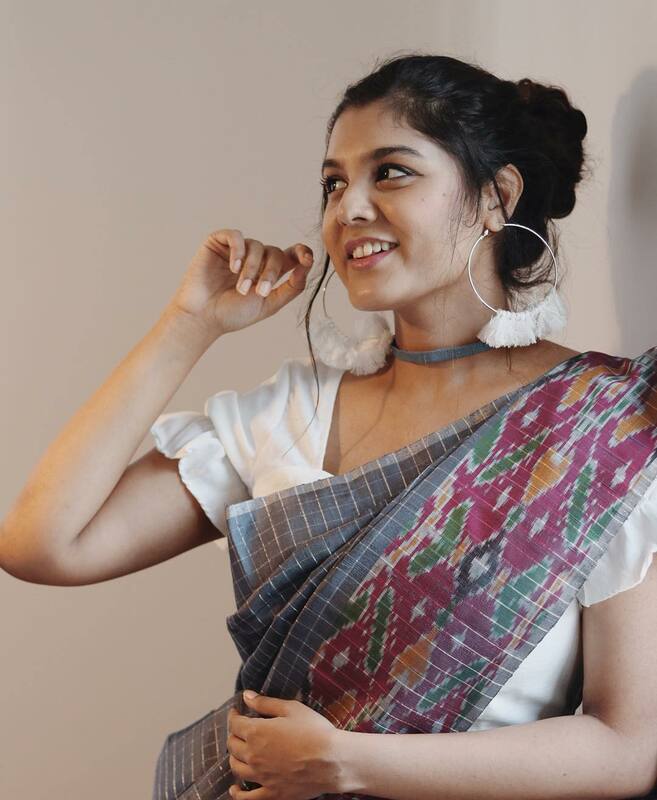 Kudos to the innovative mind of top fashion designers in India, such a large number of innovative designs and patterns have emerged in recent times. 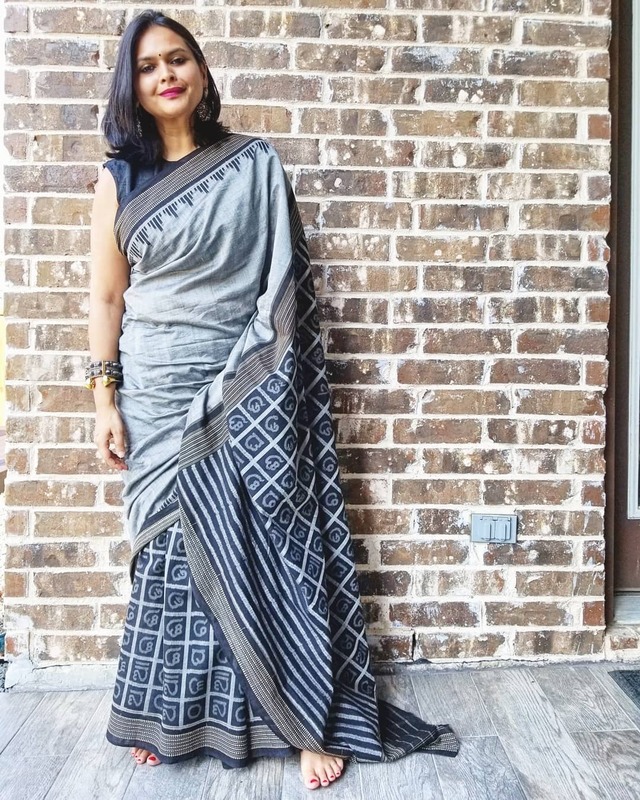 This neutral hue from the color palette gives a stylish look when styled appropriately. 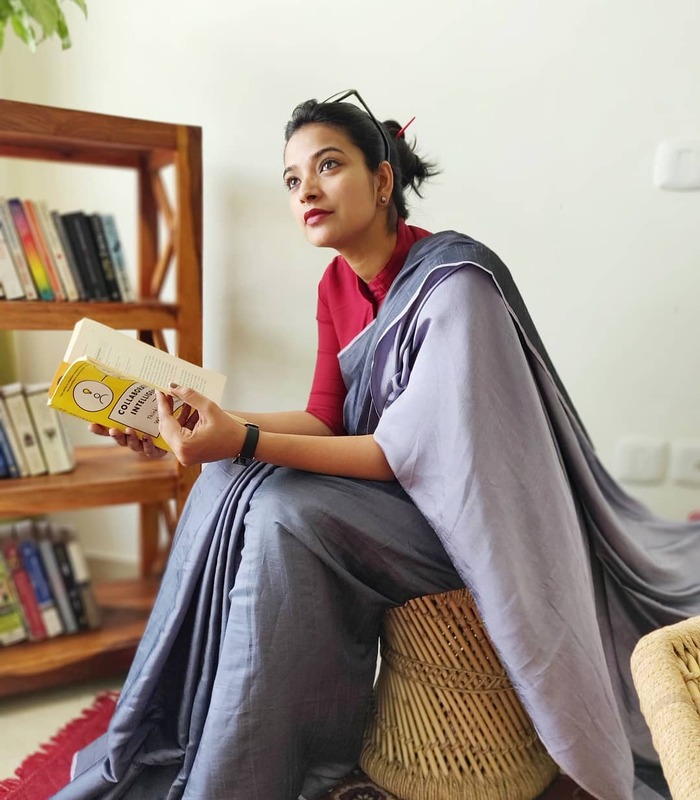 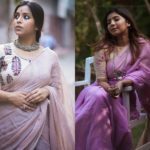 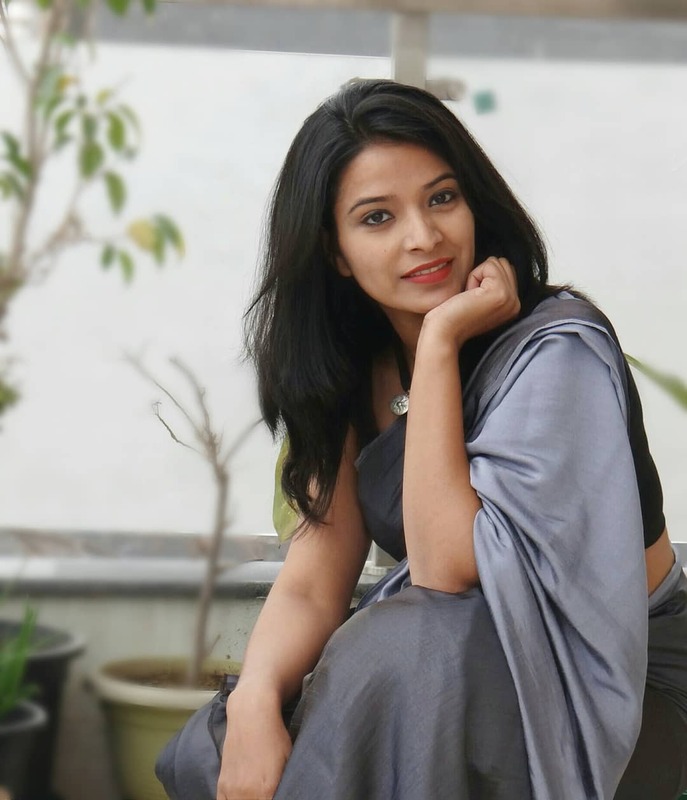 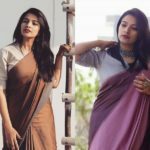 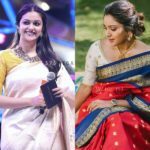 Influencers are also raving about grey color sarees and creating some elegant looks with it. 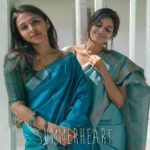 Check out the images above to see how they have created a huge inspiration with this shade. 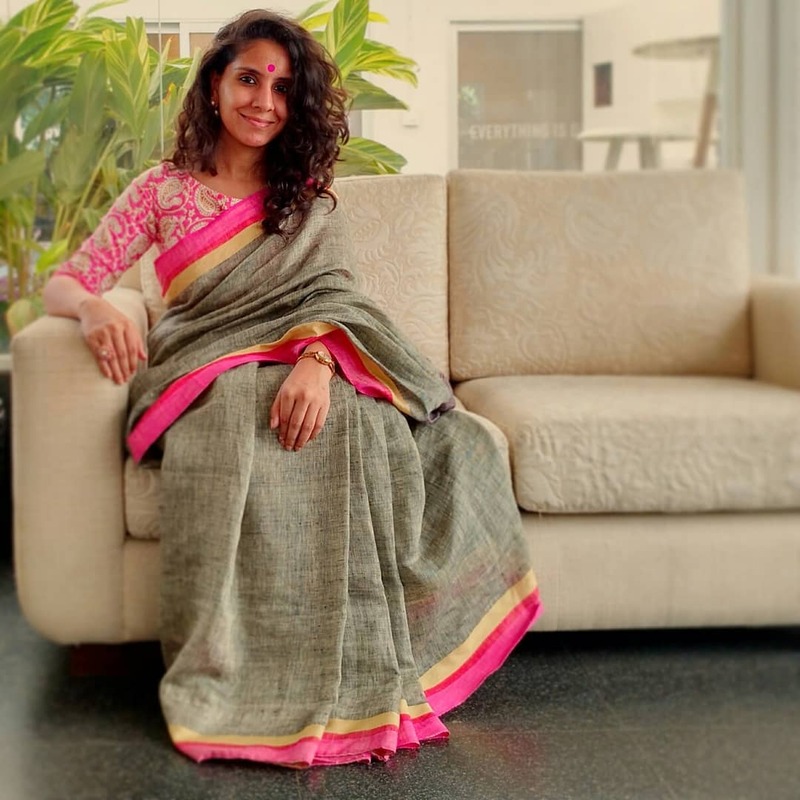 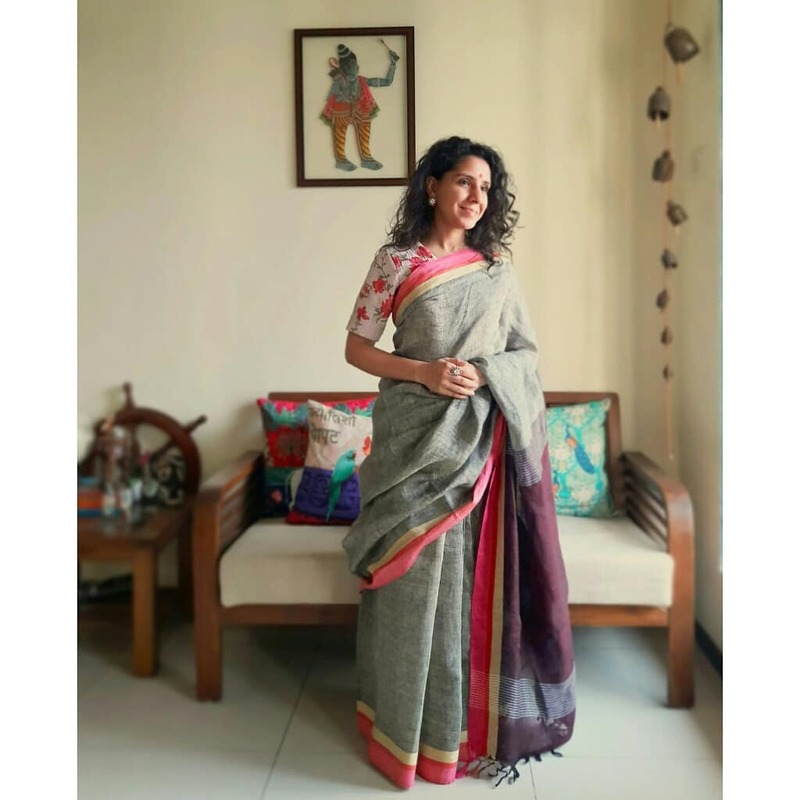 The COO of RED FM Shows How To Nail Formal Saree Style!